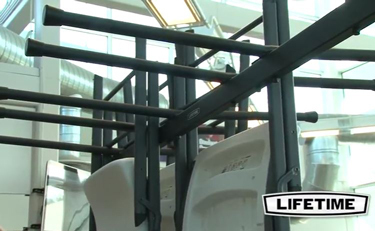 Lifetime Products provides you with countless products to make your life easier and more enjoyable. 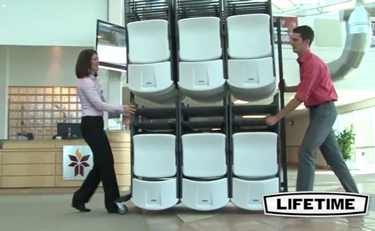 With this goal in mind, Lifetime products offers a chair cart for convenient storage and transportation. This will make it easier for you to transfer your chairs from one event to another. 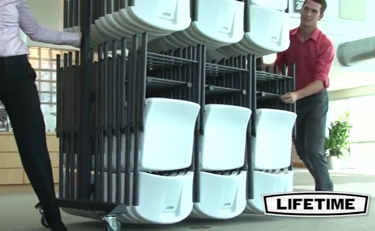 The Lifetime chair cart is strong, durable, and holds up to 72 Lifetime commercial folding chairs. The cart's solid, design makes it convenient to maneuver and steer. This portability of the cart will assist you in gathering the chairs after an event saving you time and energy. 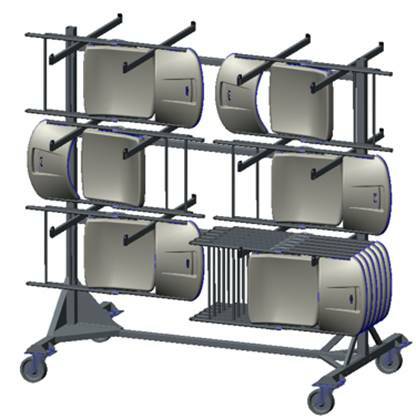 The innovative design of the chair cart makes loading and unloading simple and effortless. 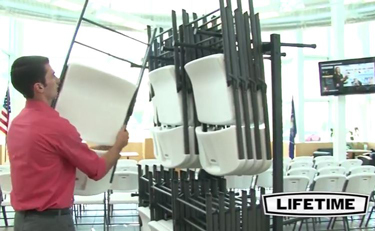 The chairs can be organized and moved to your desired location. The powder-coated finish is rust-resistant and ideal for indoor and outdoor events. 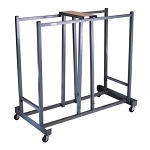 Stable construction of the cart will keep your chairs in place your while transporting them to your events. The swivel caster wheels provide a smooth easy glide for transporting your chair cart to your event. The non-marring wheels are specifically designed to not scratch or markup the floor. 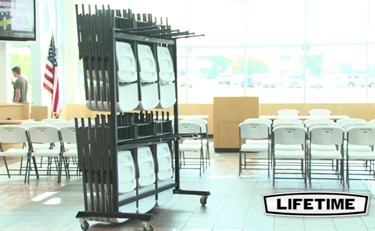 So enjoy the convenience of a Lifetime chair cart to set up your next banquet, meeting, or group gathering. 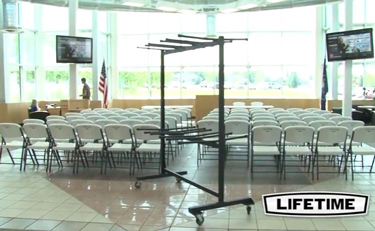 Q: What is the total height with Lifetime Chairs on the top rack? Q: Height without chairs? Gauge metal and total shipping weight? It will hold two rows of Lifetime 2802 chairs? Q: When loaded with chairs will this cart go through a normal sized door? How high does the door need to be for a loaded cart to pass through without the chairs hitting the top of the door? A: The warranty has not quite been determined as this product is not quite been released. 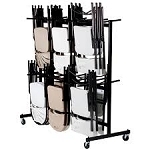 Fast Shipping: Orders for the 80526 Hanging Lifetime Chair Cart generally leave the warehouse the next business day. Dimensions: 32" x 24" x 6"